Details of the tariffs can be found by following the link in the tariffs tab. After ordering this item you will receive an email with an electronic agreement to sign agreeing to the tariff you have selected. Postpaid service is subject to a credit check and for an individual requires proofs of address and identity, for a company and purchase order or order confirmation on company letter headed paper. Service cannot start until we have the required documents, details of how to submit the documents is on the electronic agreement. 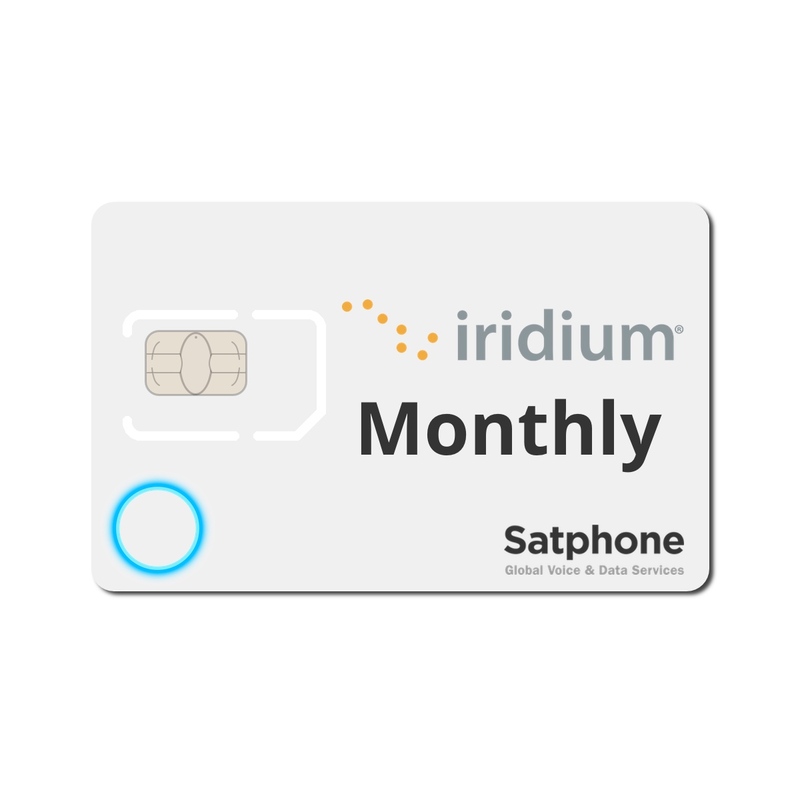 **Inclusive minutes are valid for calls to any landlines, mobiles, or calls to other Iridium handsets. Minutes do not roll over to the next month, calls to other destinations are not inclusive and will be at different rates, please see plans for details. **Inclusive minutes and Additional Calls are valid for calls to any landline or mobile/cellular network, other Iridium phones and to the Iridium voicemail. Minutes do not roll over to the next month , calls to other destinations are not inclusives and will be at different rates, please see tariffs for details. All these plans offer discount rates for using the Iridium dial up data connection from a GO! device. † Inclusive and Additional GO Data Call Minutes are valid for calls to the Iridium GO! Access number 88160000330 service from a GO! device. Minutes do not roll over to the next month , calls to other data destinations or not from a GO! are not inclusives and will be at standard rates, please see plans for details. †† Standard calls are calls to landlines and mobile/cellular worldwide, calls to other destinations will be charged at different rates, please see plan details.